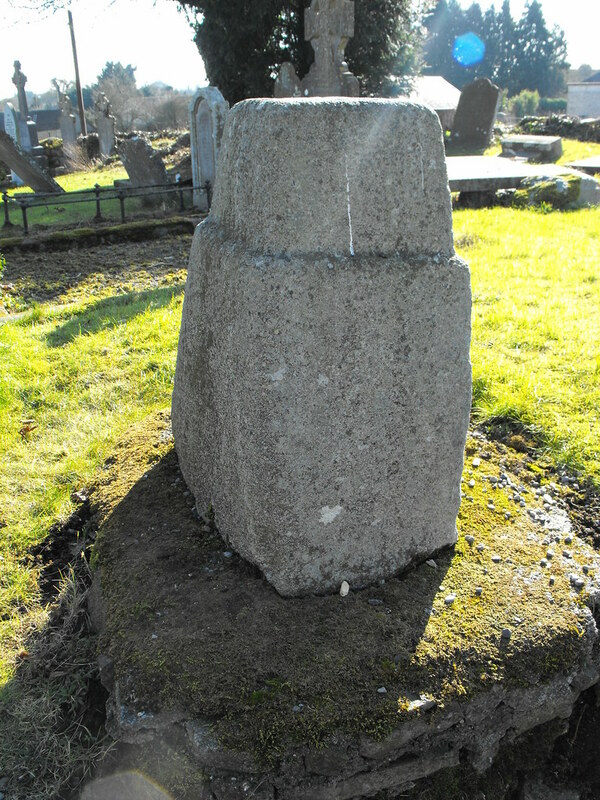 The Standing Stone: Castledermot, Cross Base, Cross Slabs, Holed Stone and Hog-Back Grave-Marker, Co. Kildare. 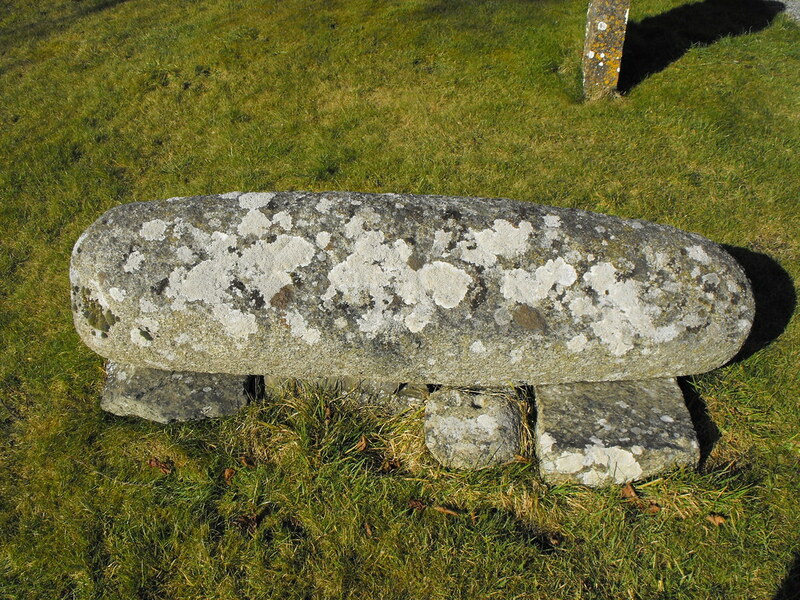 Castledermot, Cross Base, Cross Slabs, Holed Stone and Hog-Back Grave-Marker, Co. Kildare. Description and History – In addition to the arch, round tower, and high crosses there are many other interesting things in this church yard which I will cover here. 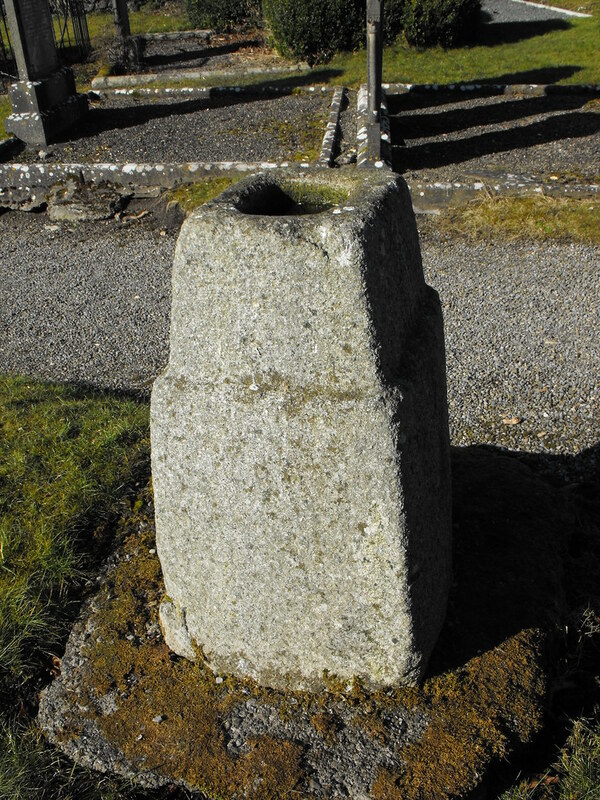 Cross base – Just to the right of the path as you enter the church yard is an undecorated cross base, indicating that there was a third high cross at this site. I wonder if it is still there waiting to be discovered. The base is much different to the bases on the other two crosses which suggests to me that the cross was also a lot different and probably smaller. 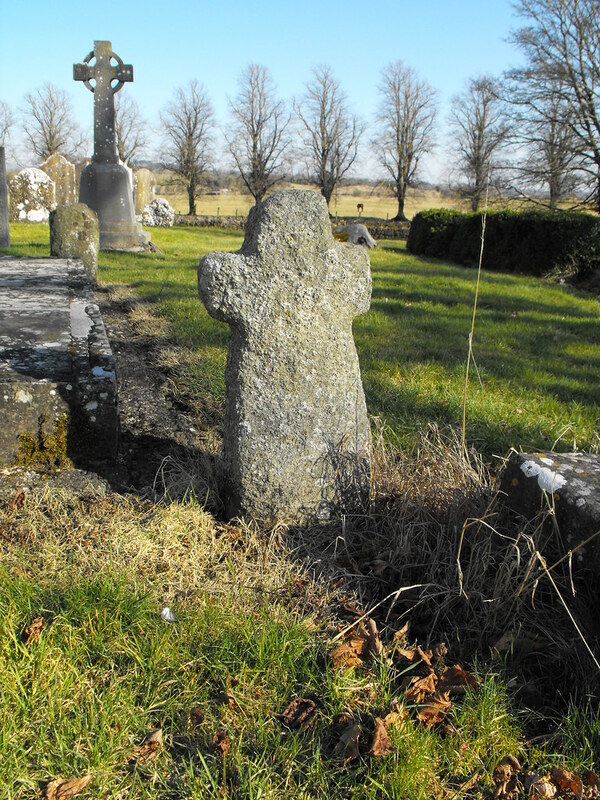 Cross slabs – There are three cross slabs in this graveyard and there could be more that I didn’t spot. One is cut into a rough cross shape while another has a simple, doubled lined cross inscribed on it. 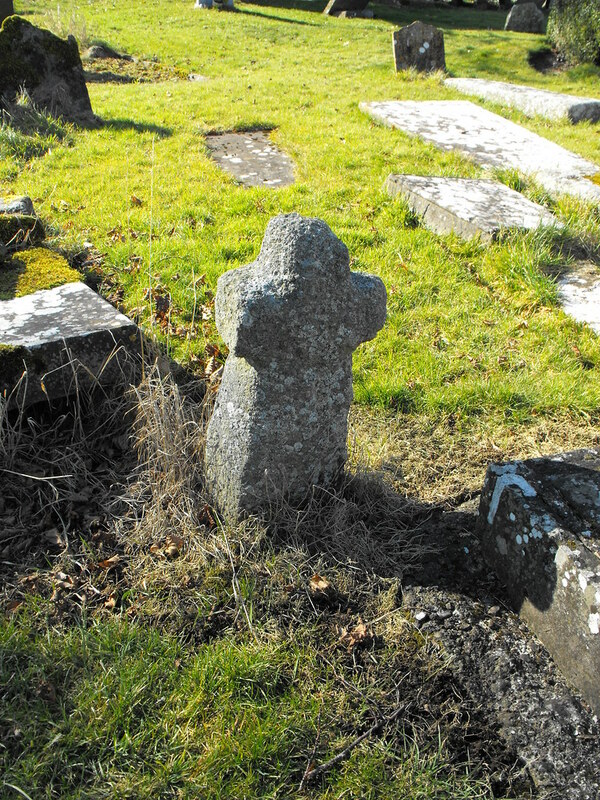 Both of these are located by the South cross. 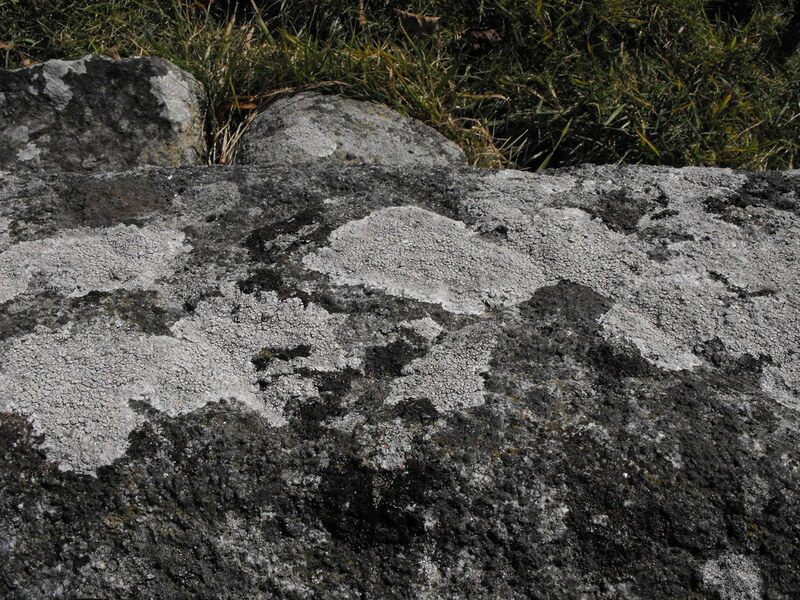 The third cross slab is very unusual and may not be a cross slab at all. 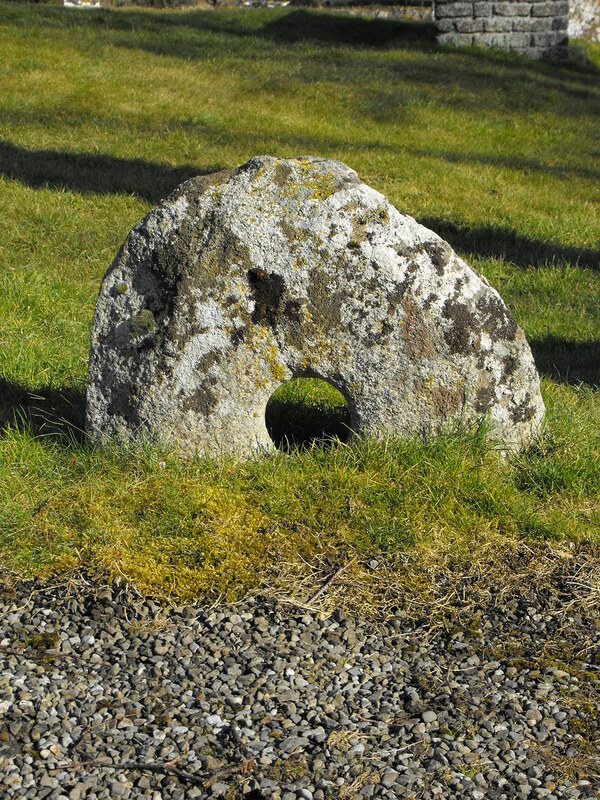 It is called the ‘swearing stone’ and has a hole through it. There is also a raised line on one side of the slab which must have been created by chipping away at the rest of the slab. 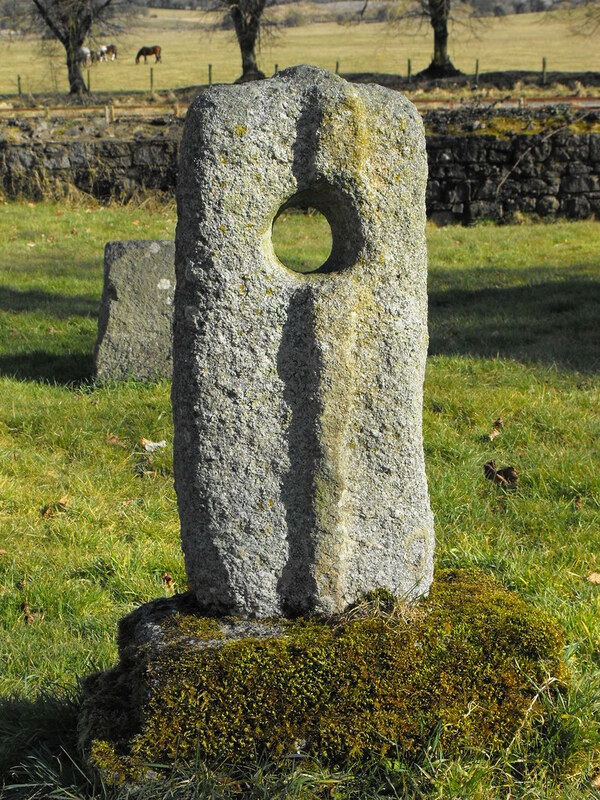 Holed stone – There is an unusual stone with a hole in it that is half buried and used as a grave-marker. 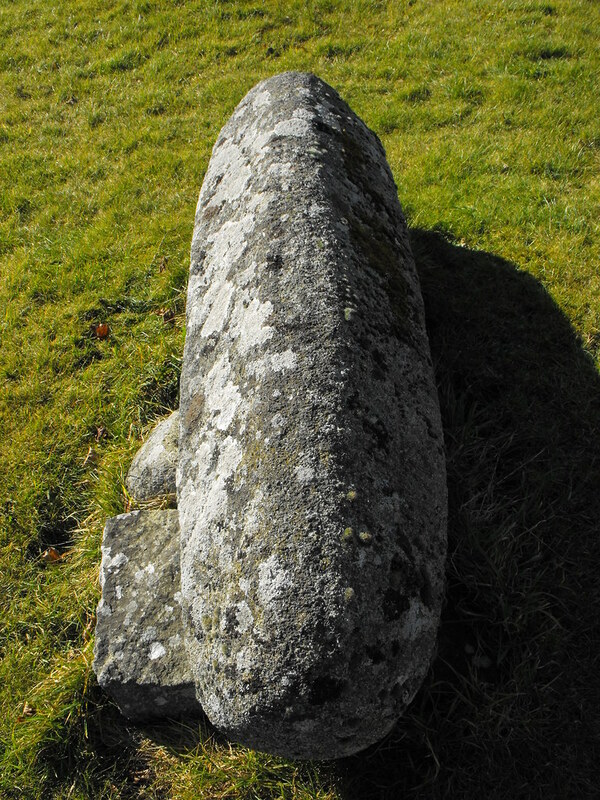 I wonder if it a buried standing stone. It could be something much more simple. 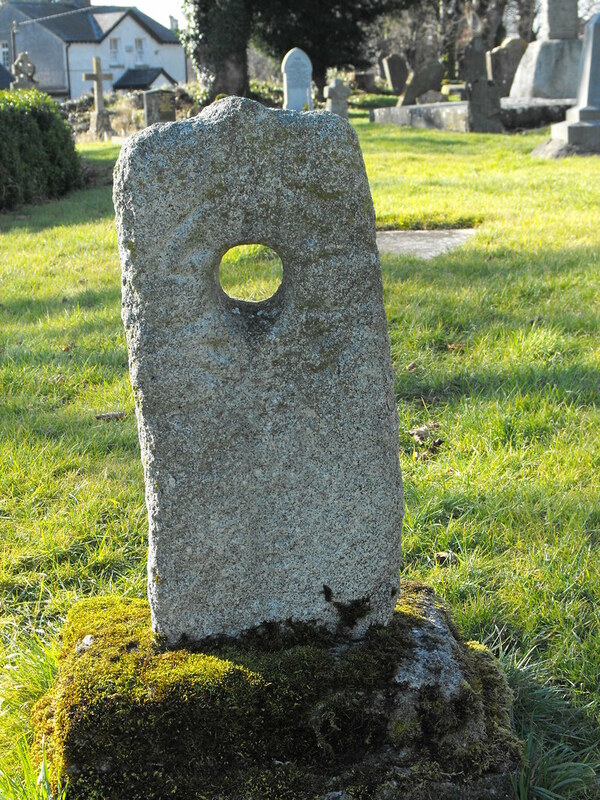 Scandinavian hog-back grave-marker – This is a true rarity and the only one of its kind in Ireland. Unfortunately it is very eroded and should probably be moved indoors. Diamond designs are visible on one side. 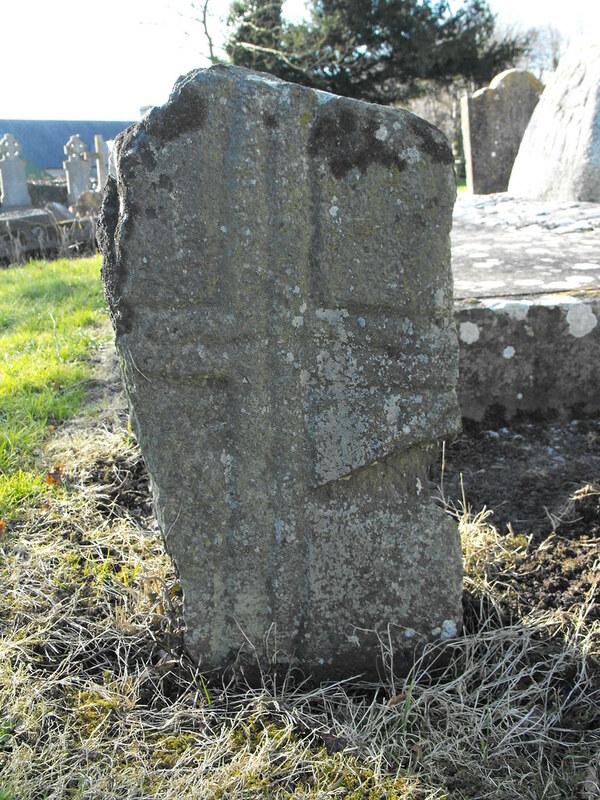 The other side has two cross designs that can barely be seen and did not come out in the photographs. Detail of the diamond. design.